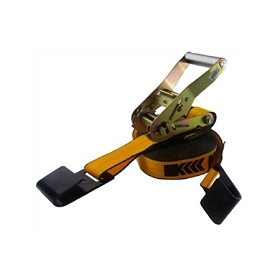 • Kinedyne straps are also available in extra durable "Rhino Webbing". 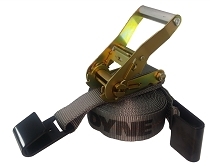 Kinedyne ratchet straps are designed to handle most types of flatbed tie-down requirements. Special length fixed ends are available as a special order. 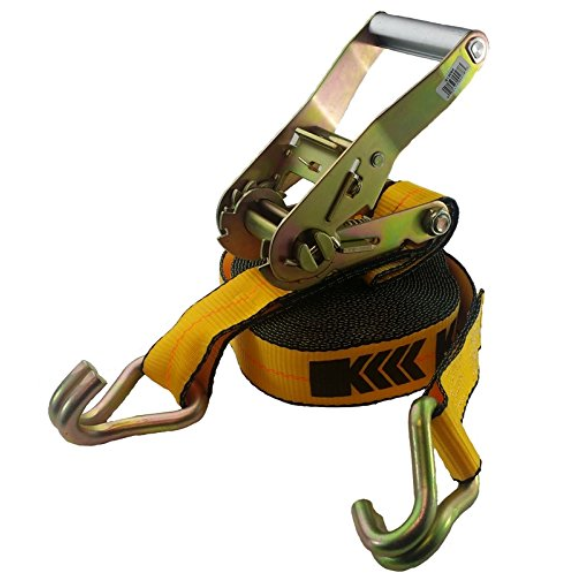 All ratchet straps are labeled with their working load limit to meet DOT regulations, WSTDA, CHP and North American Cargo Securement Standards. Straps are stenciled with the Kinedyne name and logo. Special length fixed ends are available as a special order.